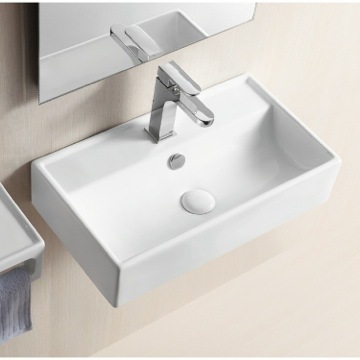 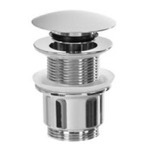 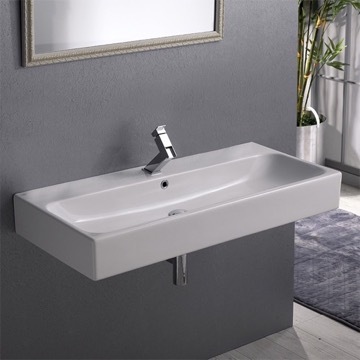 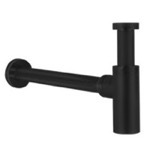 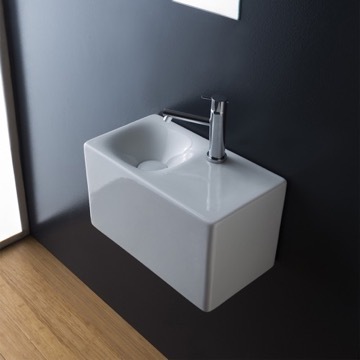 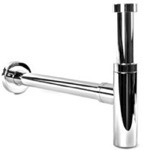 Available as a wall mounted sink or in a vessel sink style, this single faucet hole and ADA compliant model is made in Italy of high quality ceramic. 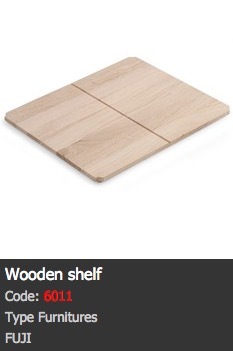 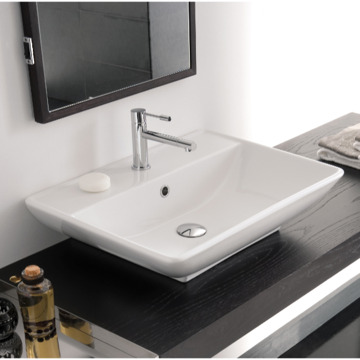 Its contemporary style can instantly add a trendy streak to your bathroom right away. 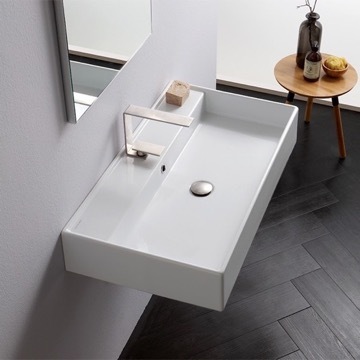 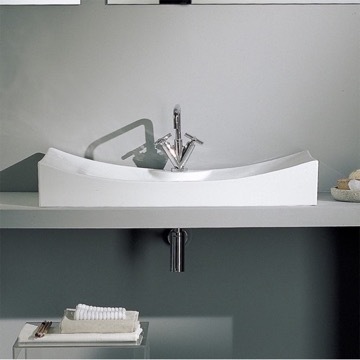 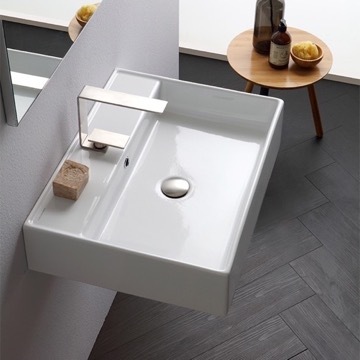 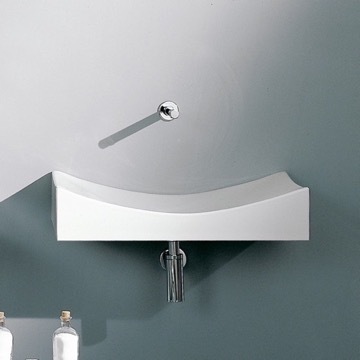 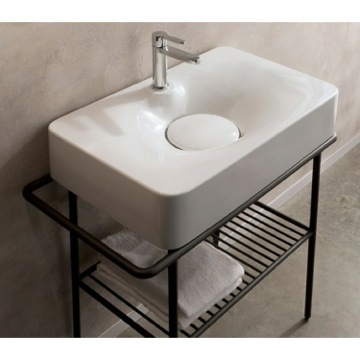 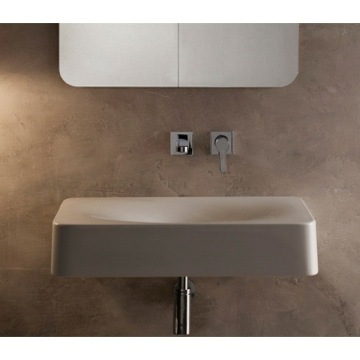 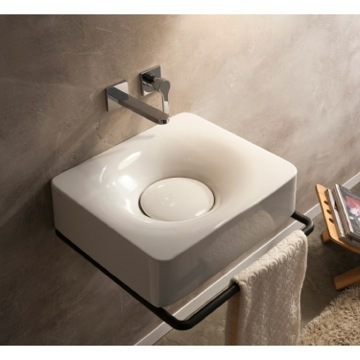 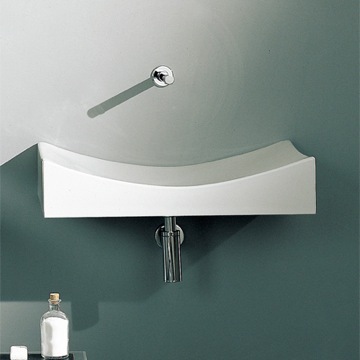 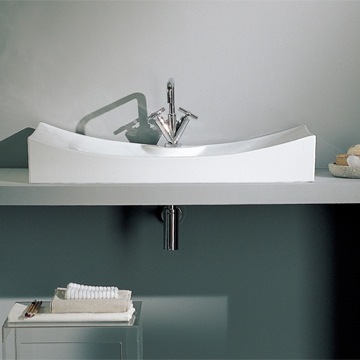 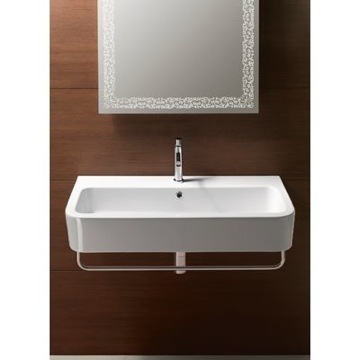 This vessel/wall mounted sink is part of Scarabeo's Fuji collection. 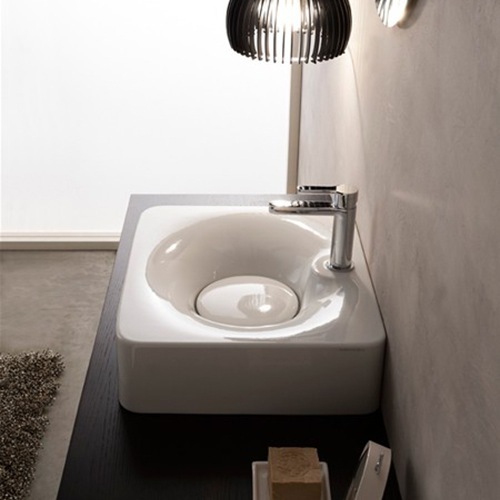 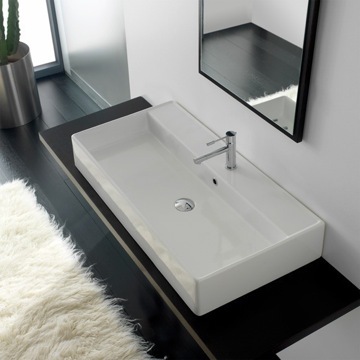 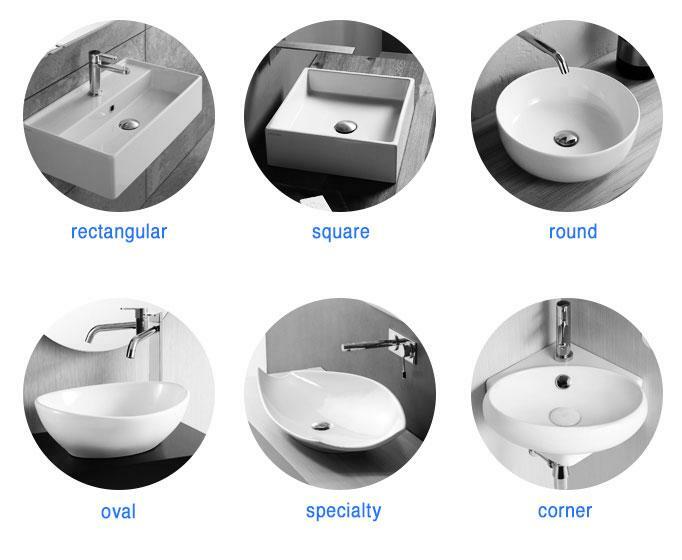 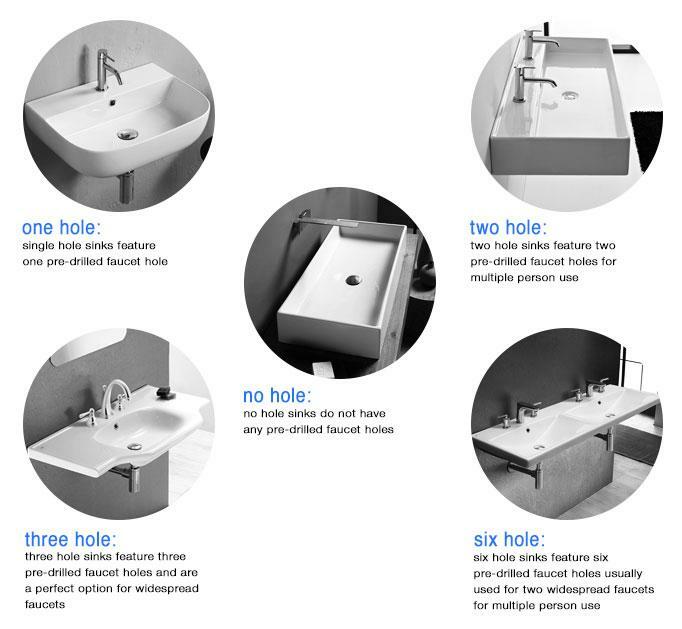 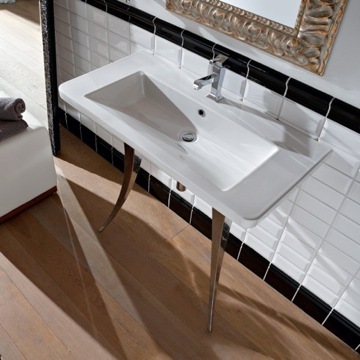 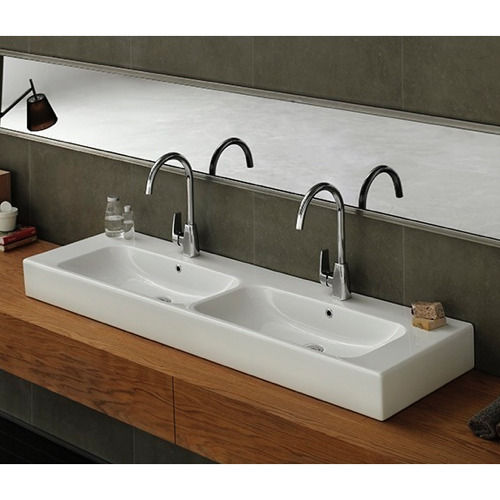 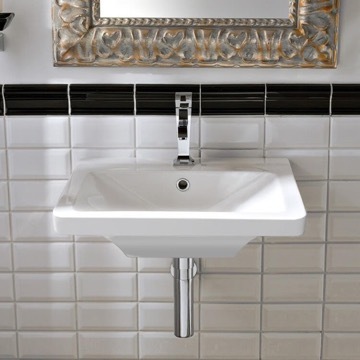 This sink was made in Italy from high quality ceramic and is configured for a single hole. 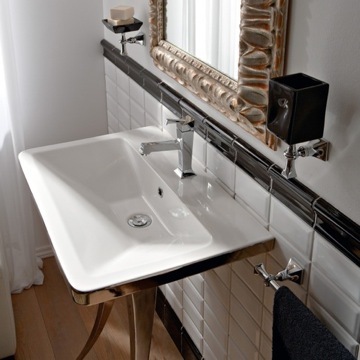 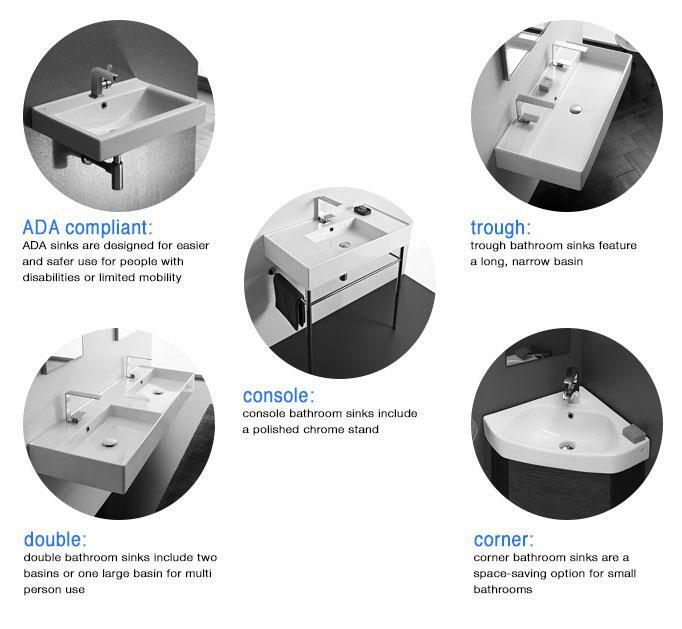 It is a contemporary style sink and it is ADA compliant. 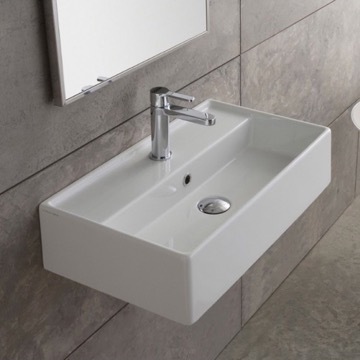 Can I get this sink in gray color? 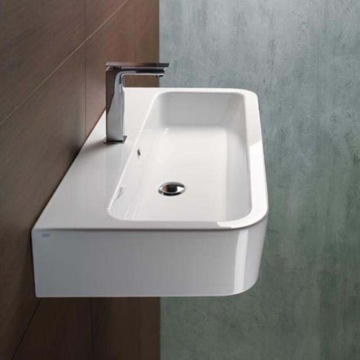 Unfortunately, this sink is only manufactured in the white finish as shown in the photo. 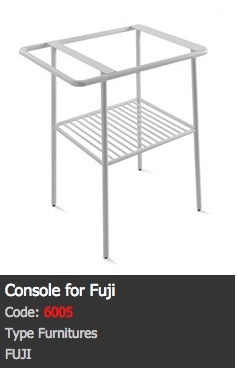 Where can I get the console? 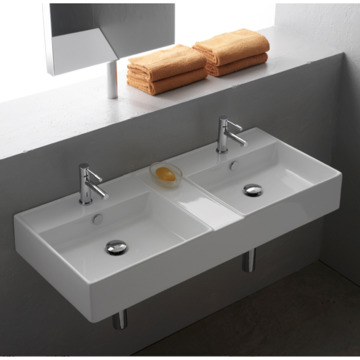 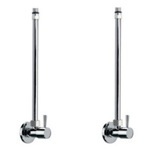 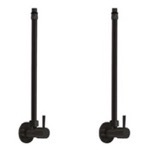 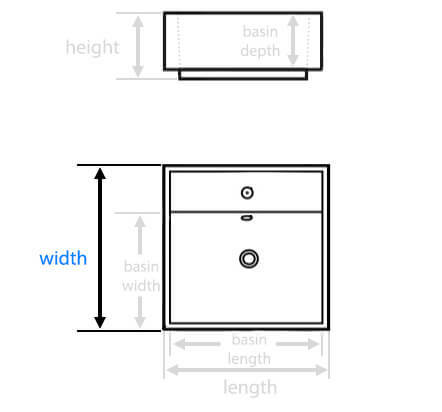 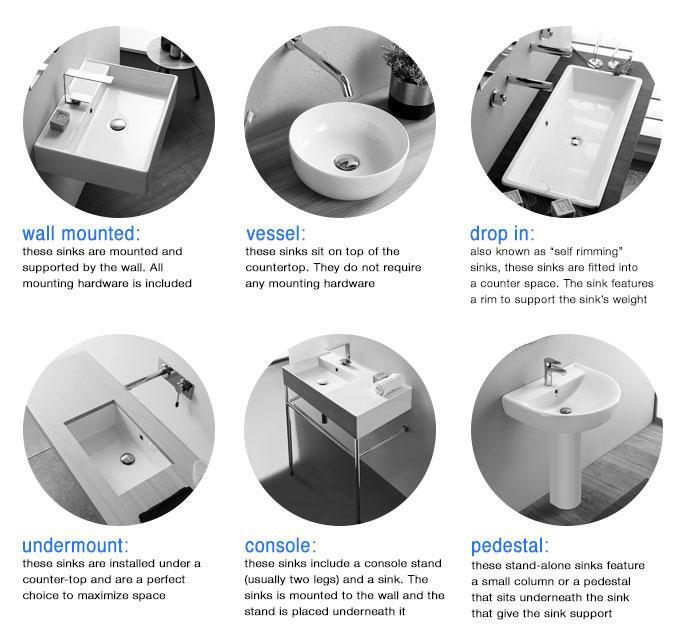 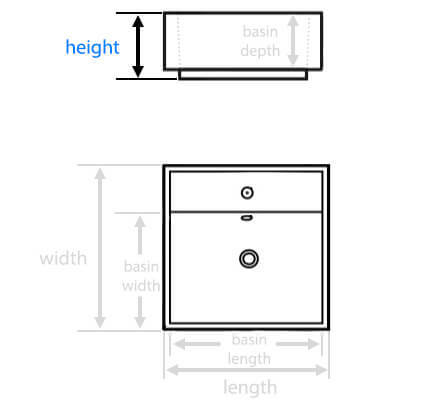 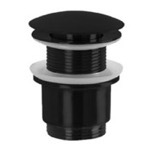 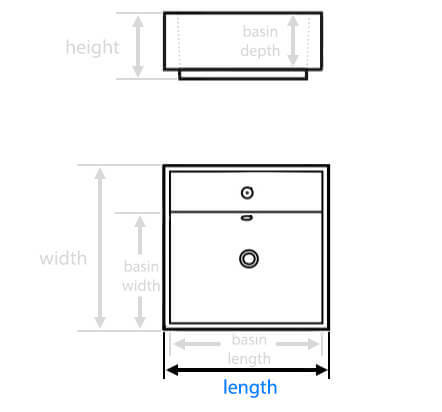 These items are designed specifically for this sink and the sink would need to be purchased along with the console. 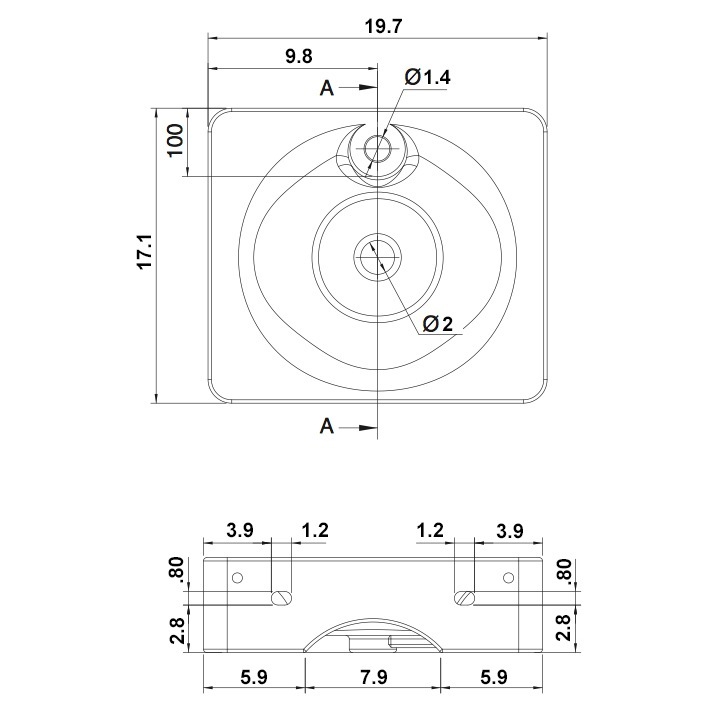 To place an order for these items, please contact our customer service directly by phone so we may process your order for these special order items.